Poisons and Toxins – Chewed objects may be coated with poisons or have poisons within them, such as bags or boxes of cleaning products. Swallowing Inedible Items – As smart as your Siberian is, they’re still likely to consume inedible objects they find pleasant to chew, especially as they break the item down into smaller parts. String can be especially bad as it can wind around and cut into the wall of the digestive track. Never try to remove swallowed string yourself if you see part of it coming out of either end of the cat. The most common time in a cat’s life for chewing is during kittenhood. 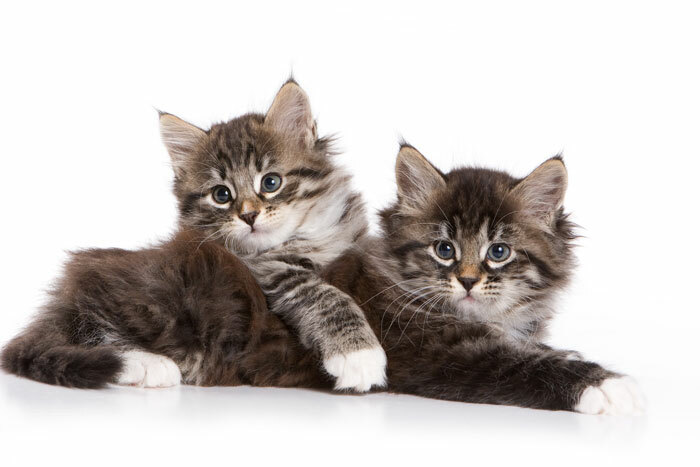 Kittens will experience sore gums during teething, and oftentimes chewing helps relieve that unpleasant feeling. It’s important to recognize when a kitten is chewing items they should not be, and discourage this as soon as possible so the behavior doesn’t carry to adulthood. Make sure your kitten has plenty of toys to choose from so they don’t feel inclined to chew your valuables. Most cats will cease chewing once they’re teething stops, so it’s important to explore why your cat has continued chewing despite their maturity. Anxiety or stress from a recent move or having a lot of guests over can trigger chewing. The most common reason is due to boredom, especially if the chewing begins out of nowhere. 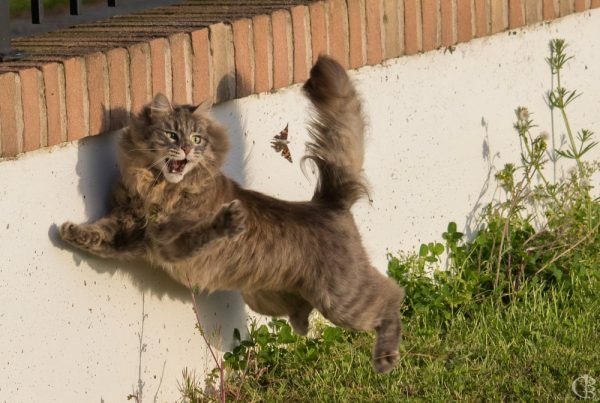 Siberians in particular are at risk of boredom due to their playful and adventurous personality. Several potential medical problems might be the source, such as gum disease, gastrointestinal problems or nutritional deficiencies, in which case you should see a vet. 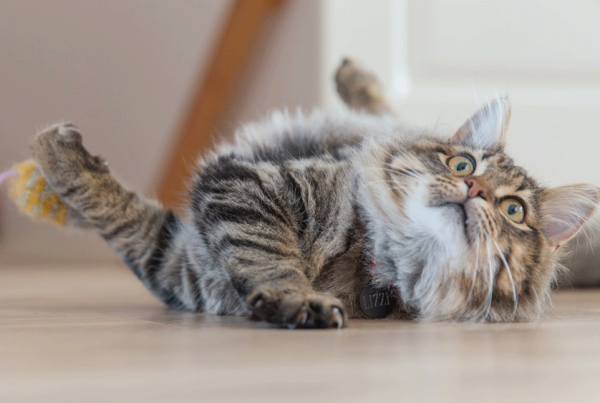 Finally, although uncommon, obsessive compulsive disorder is possible in cats. If your Siberian is chewing very unusual items for a cat such as wool, this may be the culprit. 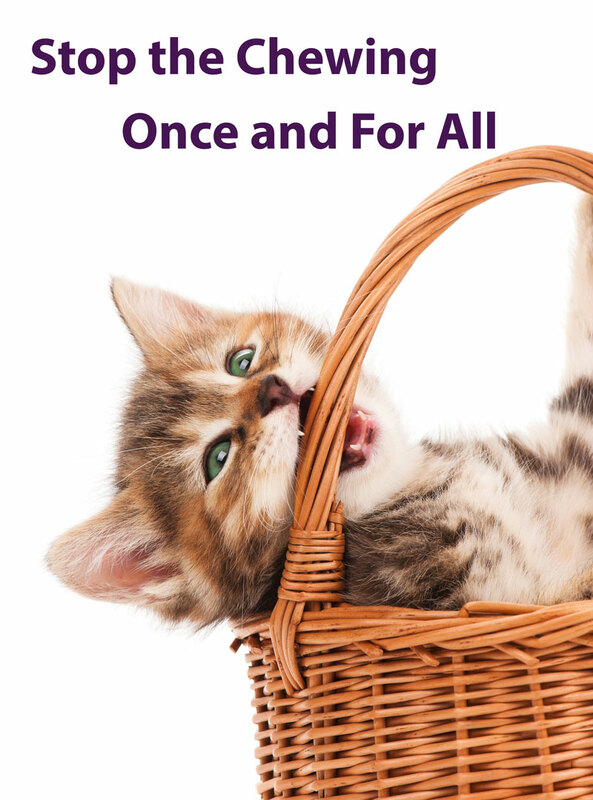 Introduce novelty by periodically moving familiar cat trees and posts and hiding or introducing new cat toys. Always have “safe places” where the cat can sleep, lay, scratch or play without being punished or even picked up. Interact more with your cat. Siberians are typically very social and require more attention than most cats. Buying the right toys can really make all the difference. A nice leather-textured, catnip scented chew toy will be far more interesting than the shoelaces and purses your Siberian was chewing. Find more ways to banish boredom here. 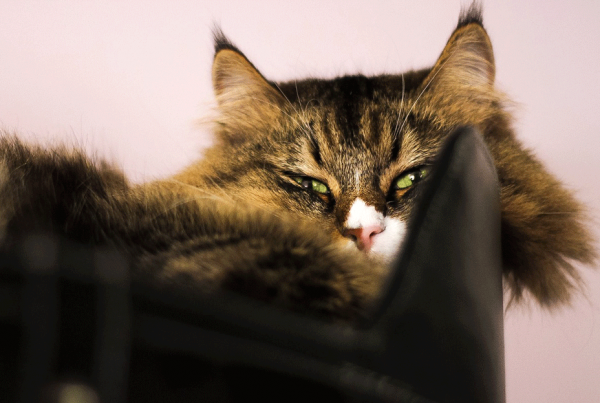 Make sure any tempting items are out of reach such as string, leather goods, plants and any other item your Siberian has taken special interest in. Keep such items in bins and closets.